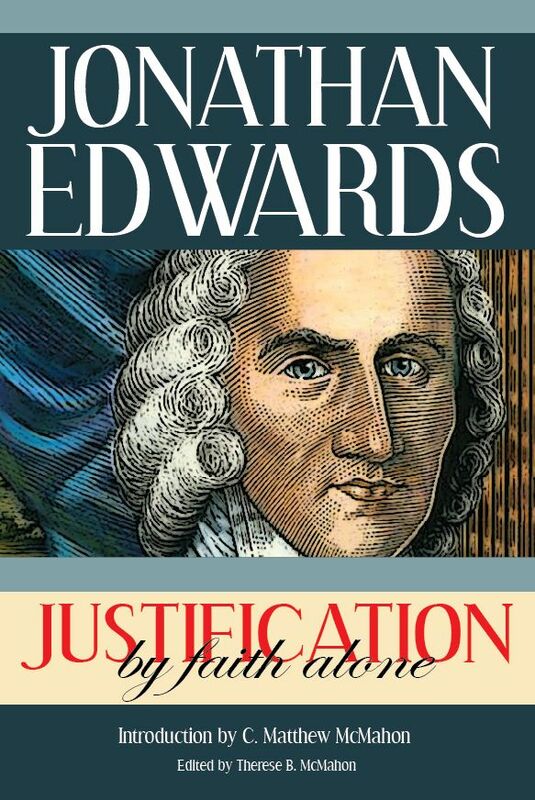 Edwards talks about various aspects of the Godhead, including economy, unity, and intra-Trinitarian actions. 1062. Economy of the Trinity. We should be careful that we do not go upon uncertain grounds, and fix uncertain determinations in things of so high a nature. The following things seem to be what we have pretty plain reason to determine with respect to those things. 1. That there is a subordination of the Persons of the Trinity, in their actions with respect to the creature, that one acts from another, and under another, and with a dependence on another, in their actings, and particularly in what they act in the affairs of man’s redemption. So that the Father in that affair acts as Head of the Trinity, and the Son under him, and the Holy Spirit under them both. 2. It is very manifest that the Persons of the Trinity are not inferior one to another in glory and excellency of nature. The Son, for instance, is not inferior to the Father in glory, for he is the brightness of his glory, the very image of the Father, the express and perfect image of his person. And therefore the Father’s infinite happiness is in him, and the way that the Father enjoys the glory of the deity is in enjoying him. And though there be a priority of subsistence, and a kind of dependence of the Son, in his subsistence, on the Father, because with respect to his subsistence, his is wholly from the Father and is begotten by him. Yet this is more properly called priority than superiority, as we ordinarily use such terms. There is dependence without inferiority of deity, because in the Son the deity, the whole deity and glory of the Father, is as it were repeated or duplicated. Everything in the Father is repeated, or expressed again, and that fully: so that there is properly no inferiority. 3. From hence it seems manifest that the other Persons’ acting under the Father does not arise from any natural subjection, as we should understand such an expression according to the common idiom of speech. For thus a natural subjection would be understood to imply either an obligation to compliance and conformity to another as a superior and one more excellent, and so most worthy to be a rule for another to conform to, or an obligation to conformity to another’s will, arising from a dependence on another’s will for being or well-being. But neither of these can be the case with respect to the Persons of the Trinity, for one is not superior to another in excellency: neither is one in any respect dependent on another’s will for being or well-being. For though one proceeds from another, and so may be said to be in some respects dependent on another, yet it is not dependence of one on the will of another. For it is no voluntary, but a necessary proceeding, and therefore infers no proper subjection of one to the will of another. 5. This order or economy of the Persons of the Trinity with respect to their actions ad extra, is to be conceived of as prior to the covenant of redemption: as we must conceive of God’s determination to glorify and communicate himself as prior to the method that his wisdom pitches upon as tending best to effect this. For God’s determining to glorify and communicate himself must be conceived of as following from God’s nature, or we must look upon God from the infinite fullness and goodness of his nature, as naturally disposed to cause the beams of his glory to shine forth, and his goodness to flow forth. Yet we must look on the particular method that shall be chosen by divine wisdom to do this as not so directly and immediately owing to the natural disposition of the divine nature, as the determination of wisdom intervening, choosing the means of glorifying that disposition of nature. We must conceive of God’s natural inclination as being exercised before wisdom is set to work to find out a particular excellent method to gratify that natural inclination. Therefore this particular invention of wisdom, of God’s glorifying and communicating himself by the redemption of a certain number of fallen inhabitants of this globe of earth, is a thing diverse from God’s natural inclination to glorify and communicate himself in general, and superadded to it or subservient to it. And therefore, that particular constitution or covenant among the Persons of the Trinity about this particular affair, must be looked upon as in the order of nature after that disposition of the Godhead to glorify and communicate itself, and so after the will of the Persons of the Trinity to act, in so doing, in that order that is in itself fit and decent, and what the order of their subsisting requires. We must distinguish between the covenant of redemption, that is an establishment of wisdom wonderfully contriving a particular method for the most conveniently obtaining a great end, and that establishment that is founded in fitness and decency and the natural order of the eternal and necessary subsistence of the Persons of the Trinity. And this must be conceived of as prior to the other. It is evident by the Scripture that there is an eternal covenant between some of the Persons of the Trinity, about that particular affair of men’s redemption, and therefore that some things that appertain to the particular office of some of the Persons and their particular order and manner of acting in this affair, do result from a particular new agreement; and not merely from the order already fixed in a preceding establishment founded in the nature of things, together with the new determination of redeeming mankind. There is something else new besides a new particular determination of a work to be done for God’s glorying and communicating himself. There is a particular covenant entered into about that very affair, settling something new concerning the part that some at least of the Persons are to act in that affair. 6. That the economy of the Persons of the Trinity, establishing that order of their acting that is agreeable to the order of their subsisting, is entirely diverse from the covenant of redemption and prior to it, not only appears from the nature of things, but appears evidently from the Scripture, being plainly deduced from the following things evidently collected thence. First. 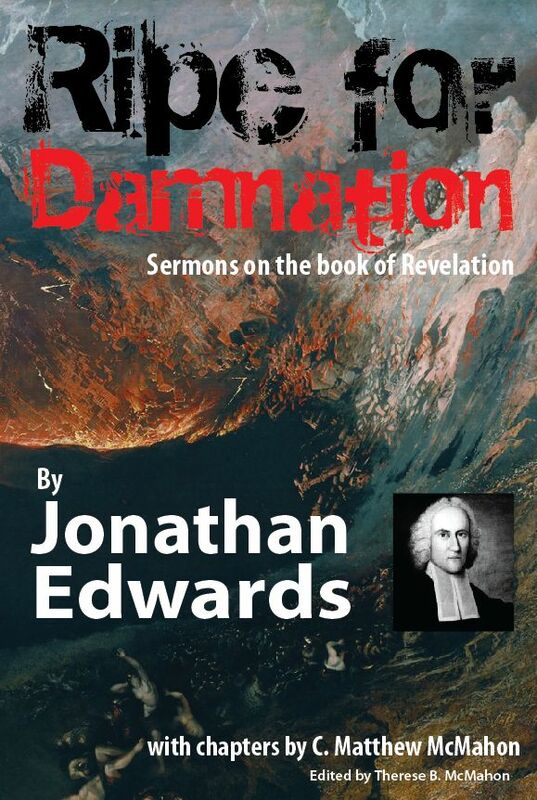 It is the determination of God the Father, whether there shall be any such thing admitted as redemption of sinners. It is his law, majesty and authority, as supreme ruler, legislator and judge, that is contemned. He is every where represented as the Person who, (in the place that he stands in among the Persons of the Trinity), is especially injured by sin, and who is therefore the Person whose wrath is enkindled, and whose justice and vengeance are to be executed, and must be satisfied. And therefore, it is at his will and determination whether he will on any terms forgive sinners, and so whether there shall be any redemption of them allowed any more than of fallen angels. But we must conceive of the determination that a redemption shall be allowed for fallen men, as preceding the covenant or agreement of the Persons of the Trinity relating to the particular manner and means of it; and consequently, that the Father, who determines whether a redemption shall to be allowed or no, acts as the Head of the society of the Trinity, and in the capacity of supreme Lord and one that sustains the dignity and maintains the rights of the Godhead antecedently to the covenant of redemption; and consequently, that that economy by which he stands in this capacity is prior to that covenant. Second. Nothing is more plain from Scripture than that the Father chooses the Person that shall be the Redeemer and appoints him, and that the Son has his authority in his office wholly from him: which makes it evident, that that economy by which the Father is Head of the Trinity, is prior to the covenant of redemption. For he acts as such in the very making of that covenant, in choosing the Person of the Redeemer to be covenanted with about that work. The Father is the Head of the Trinity, and is invested with a right to act as such, before the Son is invested with the office of a Mediator. Because the Father, in the exercise of his Headship, invests the Son with that office. By which it is evident, that that establishment, by which the Father is invested with his character as Head of the Trinity, precedes that which invests the Son with his character of Mediator, and therefore precedes the covenant of redemption, which is the establishment that invests the son with that character. If the Son were invested with the office of a mediator by the same establishment and agreement of the Persons of the Trinity by which the Father is invested with power to act as Head of the Trinity, then the Father could not be said to elect and appoint the Son to his office of Mediator, and invest him with authority for it, any more than the Son elects and invests the Father with his character of Head of the Trinity, or any more than the Holy Ghost elects both the Son and the Father to their several economical offices, and the Son would receive his powers to be a mediator no more from the Father, than from the Holy Ghost. Because in this scheme it is supposed that prior to the covenant of redemption, all the Persons act as upon a level, and each Person, by one common agreement in that covenant of redemption, is invested with his proper office: the Father with that of Head, the Son with that of Mediator, the Spirit with that of common emissary and consummator of the designs of the other two. So that by this supposition no one has his office by the particular appointment of anyone singly, or more than another, but all alike by common consent: there being no antecedent establishment giving one any power or headship over another, to authorize or appoint another. Now if that establishment that settles the economy of the Persons of the Trinity, was no other than the covenant of redemption itself, or that agreement that the Persons of the Trinity entered into establishing their order of acting in that affair, and assigning each one his part and office in that work, it would at least be unreasonable to suppose that this economy or order of the persons of the Trinity should be least conspicuous and manifest while this work lasts, and most so after the Redeemer has finished it and resigned his office, and that the resignation of his office should be to that end: that things might return to that economical order, and be governed more conspicuously and manifestly agreeable to it. Fourth. Another argument that shows the covenant of redemption to be entirely a distinct establishment from that which is the foundation of the economy of the Persons of the Trinity, is this: that the place and station that the Son attains to by this establishment is entirely distinct from that which he stands in by the economy of the Trinity, insomuch that by the covenant of redemption the Son of God is for a season advanced into the economical seat of another Person, viz., of the Father, in being by this covenant established as the Lord and Judge of the world, in the Father’s stead and as his vicegerent, and as ruling in the Father’s throne, the throne that belongs to him in his economical station. For by the economy of the Trinity, it is the Father’s province to act as the Lawgiver and Judge and Disposer of the world. Fifth. Another argument of the same thing is this, that the Scriptures do represent that the promises made to the Son in that covenant are made by the Father only, and that the honor and reward, that he has by that covenant, are granted only by the Father. Whereas, if the economy empowering the Father thus to act as the Son’s Head, in making promises to him and making over rewards to him, were not prior to the covenant in which these promises are made and these things made over, the Father could have no power to make such promises, and grant such things to the Son: nor would it be done by the Father any more than by the Holy Spirit. For it would be done equally by all the Persons of the Trinity acting conjunctly. 1. It is the Father that begins that great transaction of the eternal covenant of redemption, is the first mover in it, and acts in every respect as Head in that affair. He determines to allow a redemption, and for whom it shall be. He pitches upon a Person for a Redeemer. He proposes the matter unto him, offers him authority for the office, proposes precisely what he should do, as the terms of man’s redemption, and all the work that he should perform in this affair, and the reward he should receive, and the success he should have. And herein the Father acts in the capacity in which he is already established, viz., that of the Head of the Trinity and all their concerns, and the fountain of all things that appertain to the deity, and its glorification and communication. 2. Though the Father, merely by virtue of his economical prerogative as Head of the Trinity, is the first mover and beginner in the affair of our redemption, and determines that a redemption shall be admitted, and for whom, and proposes the matter first to his Son, and offers him authority for the office. Yet it is not merely by virtue of his economical prerogative, that he orders, determines and prescribes all that he does order and prescribe relating to it. But he does many things that he does in the work of redemption in the exercise of a new right, that he acquires by a new establishment, a free covenant entered into between him and his Son, in entering into which covenant the Son (though he acts on the proposal of the Father), yet acts as one wholly in his own right, as much as the Father, being not under subjection or prescription in his consenting to what is proposed to him, but acting as of himself. Otherwise there would have been no need of the Father and Son’s entering into covenant one with another, in order to the Son’s coming into subjection and obligation to the Father, with respect to any thing appertaining to this affair. The whole tenor of the gospel holds this forth, that the Son acts altogether freely and as of his own right, in undertaking the great and difficult and self-abasing work of our redemption, and that he becomes obliged to the Father with respect to it by voluntary covenant engagements, and not by any establishment prior thereto. So that he merits infinitely of the Father in entering into and fulfilling these engagements. The Father merely by his economical prerogative can direct and prescribe to the other Persons of the Trinity in all things not below their economical characters. But all those things that imply something below the infinite majesty and glory of divine Persons, and which they cannot do, without, as it were, laying aside the divine glory, and stooping infinitely below the height of that glory: these things are below their economical divine character. And therefore the Father cannot prescribe to the other Persons anything of this nature, without a new establishment by free covenant empowering him so to do. But what is agreed for with the Son concerning his coming into the world in such a state of humiliation, and what he should do and suffer in that state, is his descending to a state infinitely below his divine dignity. And therefore the Father has no right to prescribe to him with regard to these things, unless as invested with a right by free covenant engagements of his Son. 3. From what has been said it appears that besides that economical subordination of the Persons of the Trinity that arises from the manner and order of their subsisting, there is a new kind of subordination and mutual obligation between two of the Persons, arising from this new establishment, the covenant of redemption, the Son undertaking and engaging to put himself into a new kind of subjection to the Father, far below that of his economical station, even the subjection of a proper servant to the Father, and one under his law, in the manner that creatures that are infinitely below God and absolutely dependent for their being on the mere will of God, are subject to his preceptive will and absolute legislative authority. The Son engaged to become a creature, and so to put himself in the proper circumstances of a servant: from which engagements of the Son, the Father acquires a new right of Headship and authority over the Son, to command him and prescribe to him and rule over him, as his proper Lawgiver and Judge. And the Father, also, comes under new obligation to the Son, to give him such success, rewards, etc. 4. It must be observed that this subordination that two of the Persons of the Trinity come into, by the covenant of redemption, is not contrary to their economical order, but in several respects agreeable to it, though it be new in kind. Thus, if either the Father or the Son be brought into the subjection of a servant to the other, it is much more agreeable to the economy of the Trinity, that it should be the latter, who by that economy is already under the Father as his Head. That the Father should be servant to the Son would be contrary to the economy and natural order of the Persons of the Trinity. 5. It appears from what has been said that no other subjection or obedience of the Son to the Father arises properly from the covenant of redemption, but only that which implies humiliation, or a state and relation to the Father wherein he descends below the infinite glory of a divine Person: all that origination in acting from the Father, and dependence on and compliance with his will, that implies no descent below his divine glory, being no more than what properly flows from the economical order of the Persons of the Trinity. No other subjection or obedience is new in kind, but only that which implies humiliation. And if there were any such thing as a way of redemption without the humiliation of any divine Person, the Persons would act in man’s redemption in their proper subordination, without any covenant of redemption or any new establishment, as they do in the affair of rewarding the elect angels. It is true that if there were not humiliation of any divine Person required, in order to man’s redemption, the determination that there should be a redemption would be a determination not implied in the establishment of the economy of the Trinity, as indeed the determination of no particular work is implied in that establishment. The establishment of the economy is a determination that in whatever work is done, the Persons shall act in such a subordination: but the determining what works shall be done is not implied in that establishment. God’s determining to make a certain number of the angels happy to all eternity was not implied, but yet that being determined of the Father, the Son and the Spirit act in subordination to the Father in that affair of course, without any particular covenant or new establishment to settle the order of their acting in that particular affair. Merely the work to be performed being superadded to the agreed general economy, the order of their acting in that particular affair does not require any new agreement. 6. The obedience which the Son of God performs to the Father even in the affair of man’s redemption, or as Redeemer or Mediator, before his humiliation, and also that obedience he performs as God-man after his humiliation, when as God-man he is exalted to the glory he had before, is no more than flows from his economical office or character, although it be occasioned by the determination or decree of the work of redemption, which is something new, yea, is occasioned by the covenant of redemption. Yet that decree and covenant being supposed, such an obedience as he performs in his divine glory follows of course from his economical character and station. Nor is it any other kind of obedience than what that character requires. There is no humiliation in it, and no part of it implies that new sort of subjection, that is engaged in the covenant of redemption. 7. Hence it comes to pass, that that obedience, that Christ performs to the Father even as Mediator, and in the work of our redemption, before his humiliation, and now, in his exalted state in heaven, is no part of that obedience that merits for sinners. For it is only that obedience which the Son voluntarily and freely subjected himself to from love to sinners, and engaged to perform for them in the covenant of redemption, and that otherwise would not have belonged to him, that merits for sinners. And that is only that obedience that implies an humiliation below his proper divine glory. Therefore it is only that obedience that he performs as made under the law, and in the form of a servant, that merits for us. The obedience he performs in the affair of our redemption in his state of exaltation does not merit for sinners, and is no more imputed to them than the obedience of the Holy Spirit. 8. As there is a kind of subjection, that the Son came into by the covenant of redemption, that does not belong to him in his economical character, which subjection he promises to the Father in that covenant: so also there is a kind of rule and authority which he receives by the covenant of redemption, which the Father promises him, that does not belong to him in his economical character, viz., that of Head of authority and rule to the universe, as Lord and Judge of all. This does not belong to the Son but the Father by the economy of the Trinity. It is the Father that is economically the King of heaven and earth, Lawgiver and Judge of all. Therefore when the Son is made so, he is by the Father advanced into his throne, by having the Father’s authority committed unto him, to rule in his name and as his vicegerent. This the Father promised him in the covenant of redemption as a reward for the forementioned subjection and obedience that he engaged in that covenant. And to put him under greater advantages to obtain the success of his labors and sufferings in the work of redemption, this vicarious dominion of the Son is to continue to the end of the world: when the work of redemption will be finished, and the ends of the covenant of redemption obtained, and when things will return to be administered by the Trinity only, according to their economical order. 9. Not only does the Son, by virtue of the covenant of redemption, receive a new dignity of station which does not belong to him merely by the economy of the Trinity, in the dominion he receives of the Father over the universe, but also in his having the dispensation and disposal of the Holy Spirit committed to him. For when God exalted Jesus Christ, God-man, and set him at his own right hand in heavenly places, and solemnly invested him with the rule over the angels and over the whole universe, at the same time did he also give him the great and main thing that he purchased, even the Holy Spirit, that he might have the disposal and dispensation of that, to the same purposes for which he had the government of the universe committed to him, viz., to promote the grand designs of his redemption (This is very evident by the Scripture). And this was a much greater thing, than God’s giving him the angels and the whole creation. For whereby the Father did, as it were, commit to him his own divine infinite treasure, to dispense of it as he pleased to the redeemed, he made him Lord of his house, and Lord of his treasures. This new authority that the Son receives with regard to the Spirit of God, at his enthronization at the Father’s right hand, will be resigned at the end of the world, in like manner as he will then resign the new dominion that he then is invested with over the universe. 10. But it is to be observed, that there is a two-fold subjecting of the Holy Spirit to the Son, as our Redeemer, in some respect new and diverse from what is merely by the economy of the Trinity. First. The Spirit is put under the Son, or given to him and committed to his disposal and dispensation, as the Father’s vicegerent and as ruling on his Father’s throne, as the angels and the whole universe were given to him to dispose of as the Father’s vicegerent. So that the Holy Spirit, till the work of redemption shall be finished, will continue to act under the Son, in some respects, with that subjection that is economically due to the Father. For the Son will have the disposal of the Spirit in the name of the Father, or as ruling with his authority. This authority that the Son has over the Spirit, will be resigned at the end of the world, when he shall resign his vicarious dominion and authority, that God may be all in all, and that things thenceforward may be dispensed only according to the order of the economy of the Trinity. Second. There is another subjecting of the Spirit to the Son, that is in some respect diverse from what is merely by the economy of the Trinity, and that is, a giving him to him not as the Father’s vicegerent, but only as God-man and Husband, and vital Head of the Church. All that is new in this subjection is this, that, whereas by the economy of the Trinity the Spirit acts under the Son as God or a divine Person. He now acts in like manner under the same Person in two natures united, or as God-man, and in his two natures the Husband and vital Head of the Church. This subjection of the Spirit to Christ will continue to eternity, and never will be resigned up. For Christ, God-man, will continue to all eternity to be the vital Head and Husband of the Church, and the vital good, that this vital Head will eternally communicate to his church, will be the Holy Spirit. The Spirit was the inheritance that Christ, as God-man, purchased for himself and his church, or for Christ mystical. And it was the inheritance that he, as God-man, received of the Father, at his ascension, for himself and them. But the inheritance he purchased and received, is an eternal inheritance. It is, in this regard, with the authority with which Christ was invested at his ascension, with respect to the Spirit, as it is with the authority which he then received over the world. He then was invested with a two-fold dominion over the world: one vicarious, or as the Father’s vicegerent, which shall be resigned at the end of the world, and the other, as Christ, God-man and Head and Husband of the Church, and in this latter respect he will never resign his dominion, but will reign forever and ever, as is said of the saints in the new-Jerusalem, after the end of the world, Rev. 22:5. 11. Though the subjection of the Holy Spirit to the son has, in these respects that have been mentioned, something in it that is new and diverse from that subjection that flows merely from the economical order of the Persons, yet it is only circumstantially new. It is not new in that sense, as to be properly a new kind of subjection, as the Son’s subjection to the Father as made under the law is. There is no humiliation or abasement in this new subjection of the Spirit to the Son. The Spirit’s subjection to the Son as God-man (though the human nature in its union with the divine be a sharer with the divine in this honor and authority), implies no abasement of the Spirit; i.e., is no lower sort of subjection, than that which the Holy Spirit is in to the Son by the economy of the Trinity. When once the eternal Son of God was become man, and this Person was not only God, but God-man, this Person considered as God-man was a no less honorable Person than he was before: and especially was it visibly and conspicuously so, when this complex Person was exalted by the Father to his throne. For God the Father glorified him as God-man, with the glory that he had before the world was. And therefore, divine respect was as properly due to him as before, and the respect that was before due to the second Person by the economy of the Trinity, is now given to him by all, without any abasement of those that give it. It is given by angels and men without any debasing or degrading of their worship. And the same subjection is yielded by the Holy Spirit that it before yielded according to the economy of the Persons, without stooping at all below the station the Spirit stood in with respect to the Son before. And when once it has pleased the Father to set the Son on his throne, as his vicegerent, the subjection of the Spirit to the Son, as to the Father, follows of course, without any stooping below the dignity of his economical character. The Holy Spirit is not thus subject to the Son by any abasement he submits to, by any special covenant, but by the gift of the Father, exercising his prerogative as Head of the Trinity, as he is by his economical character. 12. From what has been now observed, we may learn the reason why the obedience of the Holy Spirit to the Son, though it be in some respect new, and for our sakes, yet is not meritorious for us, viz., that it implies no humiliation, is properly no new kind of subjection or obedience besides what, under such circumstances, flows from the economical order of the Persons of the Trinity. As I observed before, it is only that obedience of the son of God that merits for sinners, that is properly new in kind, and implies humiliation. Hence the Scripture mentions no reward that the Holy Spirit receives of his obedience for us or himself. 13. The things that have been observed, naturally lead us to suppose that the covenant of redemption is only between two of the Persons of the Trinity, viz., the Father and the Son. For as has been observed, there is need of a new establishment, or particular covenant, only on account of the new kind of subjection of the Son, and the humiliation he is the subject of in his office of Mediator, wherein he stoops below his proper economical character. Otherwise, there would be no more need of a new establishment, by a special covenant in this affair, than concerning God’s dealing with the elect angels, or any other work of God whatsoever. But it is the Son only that is made the subject of this humiliation: which humiliation was in his new subjection and obedience to the Father. Therefore the covenant of redemption is only between the Father and the Son. Neither is there any intimation in Scripture of any such thing as any covenant, either of the Father, or the son, with the Holy Ghost. He is never represented as a party in this covenant, but the Father and the Son only. The covenant of redemption, which is the new covenant, the covenant with the second Adam, that which takes effect in the second place (though entered into first in order of time), after the covenant with the first Adam was broken, was made only between God the Lawgiver, and man’s Surety and Representative, as the first covenant, that was made with the first Adam, was. The covenant of redemption was the covenant in which God the Father made over an eternal reward to Christ mystical, and therefore was made only with Christ the Head of that body. No proper reward was promised or made over in that covenant to the Holy Ghost, although the end of it was the honor and glory of all the Persons of the Trinity. 14. It is true that the Holy Spirit is infinitely concerned in the affair of our redemption, as well as the Father and the Son, and equally with them. And therefore we may well suppose that the affair was, as it were, concerted among all the Persons, and determined by the perfect consent of all. And that there was a consultation among the three Persons about it, as much doubtless as about the creating of man (for the work of redemption is a work wherein the distinct concern of each Person is infinitely greater, than in the work of creation), and so, that there was a joint agreement of all, but not properly a covenant between them all. There is no necessity of supposing that each one acts, in this consent and agreement, as a party covenanting, or that the agreement of each one is of the nature of a covenant, stipulation and engagement. 15. It is not only true that the Holy Ghost is concerned in the work of redemption equally with the other Persons, but that he is also concerned in the covenant of redemption, as well as they. And his concern in this covenant is as great as theirs, and equally honorable with theirs, and yet his concern in the covenant is not that of a party covenanting. Corollary. From the things that have been observed, it appears to be unreasonable to suppose, as some do, that the SONSHIP of the second Person in the Trinity consists only in the relation he bears to the Father in his mediatorial character, and that his generation or proceeding from the Father as a son, consists only in his being appointed, constituted and authorized of the Father to the office of a mediator; and that there is no other priority of the Father to the Son but that which is voluntarily established in the covenant of redemption. For it appears by what has been said, that the priority of the Father to the Son is, in the order of nature, before the covenant of redemption. And it appears evidently to be so, even by the scheme of those now mentioned, who suppose the contrary. For they suppose that it is the Father who by his power constitutes the Son in his office of Mediator, and so that the Mediator is his Son, i.e., is made a mediator by him, deriving his being in that office wholly from him. But if so, that supposes the Father, in the economy of the Trinity, to be before the Son or above him (and so to vest with authority and thus to constitute and authorize the other Person in the Trinity) before that other Person is thus authorized, which is by the covenant of redemption, and consequently that this superiority of the Father is antecedent to that covenant. And the whole tenor of the gospel exhibits the same thing. For that represents the wondrous love and grace of God as appearing in appointing and constituting his own only begotten and beloved Son, to be our Mediator; which would be absurd, if he were not God’s Son, till after he was appointed to be our Mediator. 651. One God. Unity of the Godhead. It appears that there is but one Creator and governor of the world by considering how the world is created and governed. The world is evidently so created and governed as to answer but one design in all the different parts of it and in all ages, and therefore we may justly argue that it is but one design that orders the world. This appears, first, by the mutual subserviency of all the various parts of the world. This great body is as much one, and all the members of it mutually dependent and subservient, as in the body of man one part is so and acts so and is in every respect ordered so as constantly to promote the design that others are made for. All the parts help one another and mutually forward each other’s ends. In all the immense variety of things that there are in the world, everyone has such a nature and is so ordered in every respect and circumstance as to comply with the rest of the universe, and to fall in with and subserve to the purposes of the other parts. This argues that it is the same design and contrivance or the same designing, contriving being that makes and orders one part as doth the other. Second. It appears also by this: that the same laws of nature obtain throughout the universe. Every part of matter, everywhere, is governed by exactly the same laws, which laws are only the appointment of the governors. This argues, therefore, that they are all governed by one appointment or will. Third. The same laws obtain in all ages, without any alteration. There is no alteration seen in any one instance, in all those numberless and infinitely various effects that are the result of those laws in different circumstances. This argues that it is not several that have the government by turns, but that it is one being that has the management of the same things in all ages of the world — one design and contrivance. Not only the identity of law in inanimate beings, but in the same sort of animals, especially in the nature of man, in all men, in all ages of the world, shows that all men in all ages are in the hand of the same being. Another thing that argues that the world has but one Creator and governor is the great analogy that is in the works of creation and providence; the analogy there is in the bodies of all animals and in all plants and in the different parts of the inanimate creation; the analogy there is, likewise, between the corporeal and spiritual parts of the creation; and the analogy in the constitution and government of different orders of being — this argues that the whole is the fruit of but one wisdom and design. 697. Unity of the Godhead. The unity of the Godhead will necessarily follow from God’s being infinite. For to be infinite is to be all, and it would be a contradiction to suppose two alls, because, if there be two or more, one alone is not all but the sum of them put together are all. Infinity and omneity, if I may so speak, must go together, because if any being falls short of omneity, then it is not infinite. Therein it is limited. Therein there is something that it does not extend to or that it does not comprehend. If there be something more, then there is something beyond. And wherein this being does not reach and include that which is beyond, therein it is limited — its bounds stop short of this that is not comprehended. An infinite being, therefore, must be an all-comprehending being. He must comprehend in himself all being. That there should be another being underived and independent, and so no way comprehended, will argue him not to be infinite, because then there is something more: there is more entity. There is some entity beside what is in this being, and therefore his entity cannot be infinite. Those two beings put together are more than one; for they taken together are a sum total, and one taken alone is but a part of that sum total and therefore is finite. For whatsoever is a part is finite. God, as he is infinite and the being whence all are derived and from whom everything is given, does comprehend the entity of all his creatures; and their entity is not to be added to his, as not comprehended in it, for they are but communications from him. Communications of being ben’t additions of being. The reflections of the sun’s light does not add at all to the sum total of the light. It is true mathematicians conceive of greater than infinite, in some respects, and of several infinites being added one to another, but it is because they are in some respect finite, as a thing conceived infinitely long may not be infinitely thick, and so its thickness may be added to. Or if it be conceived infinitely long one way, yet it may be conceived having bounds or an end another. But God is in no respect limited, and therefore can in no respect be added to. 3. [Since absolutely infinite must be absolutely, eternally, and essentially active,] “and since he God cannot be eternally active from without, or upon anything external, he must be eternally active from within. And since his essence is indivisible, and cannot act by parcels, he must be necessarily and immanently active, according to the whole extent of his infinite nature. Now an absolutely infinite agent that acts according to all the extent of its absolutely infinite nature must necessarily produce in itself an absolutely infinite effect. Otherwise the effect would not be proportionate to the cause, and so the cause would not act according to all the extent of its absolutely infinite nature, which is contrary to the supposition. Moreover, the production of an absolutely infinite effect is a far greater perfection than the creation of any number of infinite effects how great soever. And, therefore, this immanent fecundity must be an essential, co-eternal, consubstantial, perfection of the divine nature. 4. Hence absolute infinite in his pure and solitary essence, antecedent to all creation, must have produced within himself an eternal, necessary, absolutely infinite effect. 5. Hence an absolutely infinite mind or intelligent subject supposes an absolutely infinite object or idea known. Otherwise it would be only an infinite capacity of knowledge, and not an infinite understanding that knows and possesses its object. Let us now examine what this infinite effect and object of the divine mind must be. 6. The absolutely infinite effect and object of the absolutely infinite mind can be no other than its own IDEA, IMAGE, or REPRESENTATION. 7. An absolutely infinite and infinitely active mind supposes an absolutely infinite effect produced, and an absolutely infinite object or idea known: (1.) God cannot produce any absolutely infinite effect from without, and consequently can have no other absolutely infinite object of his thought but himself or him own idea, image, or representation: (2.) Therefore God’s own idea, image, or representation of himself must be the absolutely infinite effect and object of the absolutely infinite mind. 8. The Deists, Unitarians, and Socinians deny this eternal generation of the Word, because they do not fully enter into their own spiritual natures to examine what passes in themselves. When we think, it is clear that the object of our thought is distinct from our thinking faculty. Otherwise we would think equally at all times, and have always the same idea, since we have always the same powers. Our ideas are changeable and imperfect modes of the mind; whereas God’s idea of himself is a permanent, necessary, and essential image, and not a free, accidental mode. All our simple ideas are produced in us by other objects that act upon us, while we are altogether passive. Whereas this consubstantial idea of the divine mind is not produced by any other object distinct from itself. It is conceived from within, not received from without. It is produced, not perceived. We may therefore in comparing absolute infinite with finite spirits (which, as we shall show, are his living images), distinguish in him the thinking subject, or the MIND CONCEIVING, from the object of this thinking essence, or the IDEA CONCEIVED. 10. “Hence absolute infinite, in his pure and solitary essence, antecedent to the production of any finite ideas, is infinitely intelligent, self-knowing, and self-conscious, as well as infinitely active and productive of an eternal, immanent, and absolutely infinite effect, object, or idea. Hence this generation of the Logos, or of God’s consubstantial idea, is sufficient to complete the perfection of the divine understanding. For an infinite mind can desire nothing more to fill, enlighten, and satiate it than an infinitely infinite object. 15. “To complete the idea of perfect felicity there must be an object loving as well as an object loved. Such is the nature of love that it must be communicative. Infinite love therefore must be infinitely and necessarily communicative. It must have an object upon which it exerts itself, and to which it displays itself: into which it flows, and that flows back to it again. There is a far greater felicity in loving and in being loved than in loving simply. It is the mutual harmony and correspondence of two distinct beings, or persons, that makes the completion of love and felicity. 94. Trinity. There has been much cry of late against saying one word, particularly about the Trinity, but what the Scripture has said, judging it impossible but that, if we did, we should err in a question so much above us. But if they call that which rises and results from the joining of reason and Scripture, though it has not been said in Scripture in express words, I say, if they call this what is not said in Scripture, I am not afraid to say twenty things about the Trinity which the Scripture never said. There are deductions of reason from what has been said of the most mysterious matters, besides what has been said, and safe and certain from them too, as well as about the most obvious and easy matters. I think that it is within the reach of naked reason to perceive certainly that there are three, distinct in God, the nature of which is one, and the three are manifestly distinct; and that there are not nor can be any more distinct, really and truly distinct, but three, either distinct persons or properties or anything else; and that of these three one is, more properly than anything else, begotten of the first, and that the other proceeds alike from both, and that the first neither is begotten nor proceeds. It is often said that God is infinitely happy from all eternity in the enjoyment of himself, in the reflection and infinite love of his own essence, that is, in the infinite idea he has of himself, infinitely perfect. The Almighty’s knowledge is not so different from ours, but that ours is the image of it. It is by an idea, as ours is, only it is infinitely perfect. If it were not by idea, it is in no respect like ours: it is not what we call knowledge nor anything whereof knowledge is the resemblance, for the whole of human knowledge, both in the beginning and end, arises by ideas. It is also said that God’s knowledge of himself includes the knowledge of all things, and that he knows, and from eternity knew, all things by the looking on himself and by the idea of himself, because he is including all things — so that all God’s knowledge is the idea of himself. But yet it does not suppose imperfection in God to suppose that his idea of himself is anything distinct from himself. None will suppose that God has any such ideas as we, that are only, as it were, the shadows of things and not the very things. We cannot suppose that God reflects on himself after the imperfect manner we reflect on things, for we can view nothing immediately. The immediate object of the mind’s intuition is the idea always, and the soul perceives nothing but ideas. But God’s intuition on himself, without doubt, is immediate. But it is certain it cannot be, except his idea be his essence. For his idea is the immediate object of his intuition. An absolutely perfect idea of a thing is the very thing, for it wants nothing that is in the thing, substance nor nothing else. That is the notion of the perfection of an idea, to want nothing. That is to say, whatsoever is perfect and absolutely like a thing is that thing. But God’s idea is absolutely perfect. I will form my reasoning thus: that nothing has any existence, any way at all, but in some consciousness or idea or other, and therefore that things that are in no created consciousness have no existence but in the divine idea — or supposing the things in this room were in the idea of none but of God (they would have existence no other way as we have shown in natural philosophy) and if the things in this room would nevertheless be real things, then God’s idea, being a perfect idea, is really the thing itself and it (if so and all God’s ideas are only his own ideas of himself), as has been shown, must be his essence itself. It must be a substantial idea having all the perfection of the substance perfectly. So that by God’s reflecting on himself the being is begotten, that is, a substantial image of God begotten. I am satisfied that though this word “begotten” had never been used in Scripture, it would have been used in this case — that there is no other word that so properly expresses it. It is this perfection of God’s idea that makes all things truly and properly present to him from all eternity, and is the reason why God has no succession. For everything that is, has been, or shall be, having been perfectly in God’s idea from all eternity, and a perfect idea (which yet no finite being can have of anything) being the very thing, therefore all things from eternity were equally present with God, and there is no alteration made in idea by presence and absence, as there is in us. Again, that image of God which God infinitely loves, and has his chief delight in, is the perfect idea of God. It has always been said that God’s infinite delight consists in reflecting on himself and viewing his own perfections or, which is the same thing, in his own perfect idea of himself. So that it is acknowledged that God’s infinite love is to, and his infinite delight is in, the perfect image of himself. But the Scriptures tell us that the Son of God is that image of God which he infinitely loves. Nobody will deny this: that God infinitely loves his Son (John 3:35, “The Father loveth the Son;” John 5:20). So it was declared from heaven, by the Father at his baptism and transfiguration, “this is my beloved Son in whom I am well pleased.” So the Father calls him his elect, in which his soul delighteth (Isa. 42:1). He is called the beloved (Eph. 1:6). The Son also declares that the Father’s infinite happiness consisted in the enjoyment of him; Pro. 8:30, “I was daily his delight, rejoicing always before him.” Now none, I suppose, will say that God enjoys infinite happiness in two manners, one in the infinite delight he has in enjoying his Son, his image, and another in the view of himself different from this. So if not, then these ways wherein God enjoys infinite happiness are both the same: that is, his infinite delight in the idea of himself is the same with the infinite delight he has in his Son, and if so his Son and that idea he has of himself are the same. Again, that which is the express image of God, in which God enjoys infinite happiness, and is also the Word of God is God’s perfect idea of God. The Word of God, in its most proper meaning, is a transcript of the divine perfections. This Word is either the declared Word of God or the essential. The one is the copy of the divine perfections given to us, the other is the perfect transcript thereof in God’s own mind. But the perfect transcript of the perfections of God in the divine mind is the same with God’s perfect idea of his own perfections. But I need tell none, how the Son of God is called the Word of God. Lastly, that which is the express image of God, in which he infinitely delights and which is his Word and which is the reason or wisdom of God, is God’s perfect idea of God. That God’s knowledge or reason or wisdom is the same with God’s idea, none will deny. And that all God’s knowledge or wisdom consists in the knowledge or perfect idea of himself is shown before and granted by all. But none needs to be told that the Son of God is often called in Scripture by the names of the wisdom and logos of God. Wherefore God himself has put the matter beyond all debate, whether or no his Son is not the same with his idea of himself. For it is most certain that his wisdom and knowledge is the very same with his idea of himself. How much does the Son of God speak in proverbs under that name of wisdom! There is very much of image of this in ourselves. Man is as if he were two, as some of the great wits of this age have observed. A sort of genie is with man, that accompanies him and attends wherever he goes, so that a man has conversation with himself. That is, he has a conversation with his own idea, so that if his idea be excellent, he will take great delight and happiness in conferring and communing with it. He takes complacency in himself, he applauds himself. And wicked men accuse themselves, and fight with themselves as if they were two. And man is truly happy then, and only then, when these two agree. And they delight in themselves and in their own idea and image as God delights in his. The Holy Spirit is the act of God between the Father and the Son, infinitely loving and delighting in each other. Sure I am that, if the Father and the Son do infinitely delight in each other, there must be an infinitely pure and perfect act between them, an infinitely sweet energy which we call delight. This is certainly distinct from the other two. The delight and energy that is begotten in us by an idea is thus distinct from the idea, so it cannot be confounded in God, either with God begetting, or his idea and image — or Son. It is distinct from each of the other two, and yet it is God. The pure and perfect act of God is God, because God is a pure act. It appears that this is God, because that which acts perfectly is all act and nothing but act. There is image of this in created beings that approach to perfect action. How frequently do we say that the saints of heaven are all transformed into love and dissolved into joy — become activity itself, changed into pure ecstasy! I acknowledge these are metaphorical in this case, but yet it is true that the more perfect [Manuscript is torn] the act is, the more it resembles those infinitely perfect acts of God in this respect. And I believe it will be plain to one that thinks intensely, that the perfect act of God must be a substantial act. We say that the perfect delights of reasonable creatures are substantial delights, but the delight of God is properly a substance, yea, an infinitely perfect substance, even the essence. It appears by the Holy Scriptures that the Holy Spirit is the perfect act of God. The name declares it: (1.) The Spirit of God denotes to us the activity, vivacity, and energy of God, and: (2.) It appears that the Holy Spirit is the pure act of God and energy of the deity, by his office, which is to activate us and quicken all things, and to beget energy and vivacity in the creature. And it also appears that the Holy Spirit is this act of the deity, even love and delight, because from eternity there was no other act in God but thus acting with respect to himself, and delighting perfectly and infinitely in himself as that infinite delight that is between the Father and the Son. For the object of God’s perfect act must necessarily be himself because there is no other. But we have shown that the object of the divine mind is God’s Son and idea. And what other act can be thought of in God from eternity, but delighting in himself, the act of love which God is (1 John 4:8, “he that loveth not, knoweth not God: for God is love”)? And if God is love, and he that dwelleth in love dwelleth in God, and God in him, doubtless this intends principally that infinite love God has to himself so that the Scripture has told us that that love which is between the Father and Son is God. The Holy Spirit’s name is the Comforter. But no doubt but it is the infinite delight God has in himself is that Comforter, that is, the fountain of all delight and comfort. It may be objected that at this rate one may prove an infinite number of persons in the Godhead, for each person has an idea of the other persons. [See M 308] Thus the Father may have an idea of his Son, but you will argue that his [i.e., the Son’s] idea must be substantial. I answer, that the Son himself is the Father’s idea himself, and if he [i.e., the Son] has an idea of this idea, it is yet the same idea. A perfect idea of an idea is the same idea still to all intents and purposes. Thus, when I have a perfect idea of my idea of an equilateral triangle, it is an idea of the same equilateral triangle to all intents and purposes. So if you say that God the Father and Son may have an idea of their own delight in each other — but I say, a perfect idea or perception of one’s own perfect delight cannot be different, at least in God, from that delight itself. You’ll say, the Son has an idea of the Father. I answer, the Son himself is the idea of the Father. And if you say, he has an idea of the Father, his idea is still an idea of the Father, and therefore the same with the Son. And if you say, the Holy Spirit has an idea of the Father, I answer, the Holy Ghost is himself the delight and joyfulness of the Father in that idea, and of the idea in the Father. It is still the idea of the rather. So that if we turn in all the ways in the world, we shall never be able to make more than these three: God, the idea of God, and delight in God. So I think it really evident from the light of reason that there are these three, distinct in God. If God has an idea of himself, there is really a duplicity, because if there is no duplicity, it will follow that Jehovah thinks of himself no more than a stone. And if God loves himself and delights in himself, there is really a triplicity, three that cannot be confounded, each of which are the deity substantially. And this is the only distinction that can be found or thought of in God. If it shall be said that there are power, wisdom, goodness, and holiness in God, and that these may as well be proved to be distinct persons, because everything that is in God is God, I answer, as to the power of God, power always consists in something — the power of the mind consists in its wisdom, the power of the body in plenty of animal spirits and toughness of limbs, etc. — and as it is distinct from those and other things, it is only a relation of adequateness and sufficiency of the essence to everything. But if we distinguish it from relation, it is nothing else but the essence of God. And if we take it for that which is that by which God exerts himself, it is no other than the Father; for the perfect energy of God, with respect to himself, is the most perfect exertion of himself, of which the creation of the world is but a shadow. As to the wisdom of God, we have already observed that this wholly consists in God’s idea of himself, and is the same with the Son of God. And as to goodness, it is the perfect exertion of the essence of that attribute — it is nothing but infinite love which, the apostle John says, is God. And we have observed that all divine love may be resolved into God’s infinite love to himself. Therefore this attribute, as it was exerted from eternity, is nothing but the Holy Spirit, which is exactly agreeable to the notion some have had of the Trinity. And as to holiness, it is delight in excellency, it is God’s sweet consent to himself, or in other words, his perfect delight in himself, which we have shown to be the Holy Spirit. 117. Trinity. Love is certainly the perfection as well as the happiness of a spirit. God doubtless, as he is infinitely perfect and happy, has infinite love. I cannot doubt but that God loves infinitely, properly speaking, and not only with that which some call self-love, whereby even the devils desire pleasure and are averse to pain, which is exceeding improperly called love and is nothing at all akin to that affection or delight which is properly called love. Then there must have been an object from all eternity which God infinitely loves. But we have showed that all love arises from the perception, either of consent to being in general or a consent to that being that perceives. [See The Mind, No. 45] Infinite loveliness to God, therefore, must consist either in infinite consent to entity in general or infinite consent to God. But we have shown that consent to entity and consent to God are the same, because God is the general and proper entity of all things. So that it is necessary that that object which God infinitely loves must be infinitely and perfectly consenting and agreeable to him. But that which infinitely and perfectly agrees is the very same essence, for if it be different, it does not infinitely consent. Again, we have shown that one alone cannot be excellent, inasmuch as in such case, there can be no consent. Therefore, if God is excellent, there must be a plurality in God. Otherwise there can be no consent in him. 143. Trinity. Corollary to a former meditation of the Trinity. Hence we see how generation by the Father, and yet coeternity with the Father, or being begotten, and yet being eternal, are consistent. For it is easy to conceive how this image, this thought, reason or wisdom of God should be eternally begotten by him, and begotten by him from eternity, and continually through eternity. And so the Holy Spirit, that personal energy, the divine love and delight, eternally and continually proceeds from both. Corollary 2. Hence we see how and in what sense the Father is the fountain of the Godhead, and how naturally and properly God the Father is spoken of in Scripture, as of the Deity without distinction, as being the only true God, and why God the Son should be commonly spoken of with a distinction, and be called the Son of God, and so the Holy Spirit, the Spirit of God. Remember to look, the next time I have the opportunity of, to see if Spirit, in scripture phrase, is not commonly put for affection, and never for understanding, and to show that there is no other affection in God but love to himself. 146. Trinity. The word Spirit most commonly in Scripture is put for affections of the mind. But there is no other affection in God essentially, properly, and primarily, but love and delight, and that in himself; for into this is his love and delight in his creatures resolvable. I do not remember that any other attributes are said to be God, and God to be them but ëóãïæ and, áãáðç or reason and love. I conclude because no other are in that a personal sense…. 151. Trinity. Vid. I believe that Jesus Christ not only is exactly in the image of God, but in the most proper sense is the image of God. Now however exactly one being, suppose of one human body, may be like another. Yet I think one is not in the most proper sense in the image of the other, but more properly in the image of the other. Adam did not beget a son that was his image properly, but in his image; but the idea of a thing is, in the most proper sense of all, its image; and God’s idea the most perfect image…. 223. Trinity. The Apostle’s blessing, wherein he wishes “the grace of the Lord Jesus Christ, the love of the Father, and the communion of the Holy Ghost” (2 Cor. 13:14), contains not different things but is simple: it is the same blessing, even the Spirit of God, which is the comprehension of all happiness. Therefore, the Apostle in his blessing to the Corinthians (1 Cor. 16:23-24) says, “The grace of our Lord Jesus Christ be with you. My love be with you in Christ Jesus. Amen.” — Christian love being the communication of Christ’s love, and the Holy Ghost dwelling in us. 259. Trinity. It is evident that there are no more than these three, really distinct in God — God, and his idea, and his love and delight. We cannot conceive of any further real distinctions. If you say there is the power of God, I answer, the power of a being, even in creatures, is nothing distinct from the being itself besides a mere relation to an effect. If you say there is the infiniteness, eternity of God, and immutability of God — they are mere modes or manners of existence. If you say there is the wisdom of God — that is the idea of God. If you say there is the holiness of God — that is not different from his love, as we have shown, and is the Holy Spirit. If you say there is the goodness and mercy of God — they are included in his love, they are his love with a relation. We can find no more in God that (even in creatures) are distinct from the very being. Or there is no more than these three in God but what (even in creatures) are nothing but the same with the very being, or only some mere modes or relations. Duration, expansion, changeableness or unchangeableness, so far as attributed to creatures, are only mere modes and relations of existence. There are no more than those three that are distinct in God, even in our way of conceiving. There is, in resemblance to this threefold distinction in God, a threefold distinction in a created spirit — namely, the spirit itself, and its understanding, and its will or inclination or love. And this indeed is all the real distinction there is in created spirits. 260. Trinity. There is no other properly spiritual image but idea, although there may be another spiritual thing that is exactly like. Yet one thing being exactly like another does not make it the proper image of that thing. If there be any distinct spiritual substance exactly like another, yet is not the proper image of the other, though one be made after the other, yet it is not any more an image of the first, than the first is of the last. That Christ is the spiritual image and idea of God (see John 12:45; 14:7-9). Seeing the perfect idea of a thing is, to all intents and purposes, the same as seeing the thing. It is not only equivalent to seeing of it, but it is seeing of it. For there is no other seeing but having an idea. Now, by seeing a perfect idea, so far as we see it, we have it. But it cannot be said of anything else, that in seeing of it, we see another, speaking strictly, except it be the very idea of the other. The oil that signifies the Holy Ghost, with which Christ is anointed, is called the oil of gladness: the Holy Ghost is God’s delight, joy. Psa. 45:7; Isa. 61:3, “The oil of joy for mourning.” They anointed themselves to express joy. Another name of the Son of God that shows that he is God’s perfect idea, is the Amen, which is a Hebrew word that signifies truth. Divine truth, or the eternal truth of God, is God’s perfect understanding of himself, which is his perfect understanding of all things. 308. Trinity. With respect to that objection against this explication of the Trinity that according to this sort of reasoning, there would not only be three persons but an infinite number — for we must suppose that the Son understands the Father as well as the Father the Son, and consequently the Son has an idea of the Father, and so that idea will be another person, and so it may be said of the Holy Ghost — objection is but a color without substance, and arises from a confusion of thought and a misunderstanding of what we say. In the first place, we do not suppose that the Father and the Son and the Holy Ghost are three distinct beings that have three distinct understandings. It is the divine essence that understands, and it is the divine essence that is understood. It is the divine being that loves, and it is the divine being that is loved. The Father understands, the Son understands, and the Holy Ghost understands because every one is the same understanding divine essence, and not that each of them have a distinct understanding of their own. Second. We never supposed that the Father generated the Son by understanding the Son, but that God generated the Son by understanding his own essence, and therefore the Son is that idea itself or understanding of the essence. The Father understands the Son no otherwise than as he understands the essence — that is, the essence of the Son. The Father understands the idea he has merely in his having that idea, without any other act. Thus a man understands his own partial idea merely by his having that idea in mind. So the Son understands the Father, in that the essence of the Son understands the essence of the Father as, in himself, the understanding of the essence. And so of the Holy Ghost. After you have in your imagination multiplied understandings and loves never so often, it will be the understanding and loving of the very same essence, and can never make more than these three, God, and the idea of God, and the love of God. I would not be understood to pretend to give a full explication of the Trinity. For I think it still remains an incomprehensible mystery, the greatest and the most glorious of all mysteries. 309. Trinity. The name of the second person in the Trinity, Ëïãïò, evidences that he is God’s idea, whether we translate the word “the reason of God” or “the Word of God.” If the reason or the understanding of God, the matter is past dispute, for everyone will own that the reason or understanding of God is his idea. And if we translate it “the Word of God,” it is either the outward Word of God or his inward. None will say he is his outward. Now the outward word is speech, but the inward word, which is the original of it, is thought, the Scripture being its own interpreter. For how often is thinking in Scripture called speaking, when applied to God and men! So that it is the idea, if we take Scripture for our guide, that is the inward word. 336. Trinity. All the metaphorical representations of the Holy Ghost in the Scripture, such as water, fire, breath, wind, oil, wine, a spring, a river of living water as proceeding from God, do abundantly the most naturally represent the perfectly active flowing affection, holy love and pleasure of God. So the Holy Ghost is said to be poured out, and shed forth; Acts 2:32, 33, and Titus 3:5-6. So love is said to be shed abroad in our hearts. 341. Trinity. I can think of no other good account that can be given of the apostle Paul’s wishing “grace and peace,” or “grace, mercy, and peace from God the Father, and the Lord Jesus Christ” in the beginning of his epistles without ever mentioning the Holy Ghost, but that the Holy Ghost is the grace, the love and peace of God the Father, and the Lord Jesus Christ. We find it so fourteen times in all his salutations, in the beginning of his epistles, and in his blessing at the end of his 2nd Epistle to the Corinthians, where all three Persons are mentioned, he wishes grace and love from the Son and the Father, but the communion of the Holy Ghost, that is the partaking of him. The blessing from the Father and the Son, is the Holy Ghost, but the blessing from the Holy Ghost is himself, a communication of himself. 362. Trinity. We have a lively image of the Trinity in the sun. The Father is as the substance of the sun; the Son is as the brightness and glory of the disk of the sun, or that bright and glorious form under which it appears to our eyes; the Holy Ghost is as the heat and powerful influence, which acts upon the sun itself, and being diffusive enlightens, arms, enlivens, and comforts the world. The Spirit, as heat is God’s infinite love and happiness, is as the internal heat of the sun, but as it is that by which God communicates himself, he is as the emitted beams of God’s glory: 2 Cor. 3:18, that is, we are changed to glory or to a shining brightness, as Moses was from, or by God’s glory or shining, even as by the Spirit of the Lord, i.e. which glory or shining is the spirit of the Lord. The word, that is translated from with respect to glory, and by with respect to the Spirit, is the same in the original: it is, in both, and therefore would have been more intelligibly translated, “we are changed by glory into glory, even as by the Spirit of the Lord.” Moses was changed by God’s glory shining upon him, even as we are changed by God’s Spirit, shed as bright beams on us. The Spirit of God is called the Spirit of glory, 1 Pet. 4:14. The Spirit of glory resteth upon you, upon two accounts, because it is the glory of God, and as it were his emitted beams, and as it is the believer’s glory, and causes him also to shine. Indeed the whole animal creation, which is but for the shadows of beings, is so made as to represent spiritual things. It might be demonstrated by the wonderful agreement in thousands of things, much of the same king as is between the types of the Old Testament and their antitypes, and by their being spiritual things — being so often and continually compared with them in the Word of God. And it is agreeable to God’s wisdom that it should be so, that the inferior and shadowy parts of his works should be made to represent those things that are more real and excellent, spiritual and divine, to represent the things that immediately concern himself and the highest parts of his work. Spiritual things are the crown and glory, the head and soul, the very end and Alpha and Omega of all other works. What, therefore, can be more agreeable to wisdom than that they should be so made as to shadow them forth? And we know that this is according to God’s method, which his wisdom has chosen in other matters. Thus the inferior dispensation of the gospel was all to shadow forth the highest and most excellent which was its end. Thus almost everything that was said or done, that we have recorded in Scripture from Adam to Christ, was typical of gospel things. Persons were typical persons: their actions were typical actions, the cities were typical cities, the nation of the Jews and other nations were typical nations, their land was a typical land, God’s providences towards them were typical providences, their worship was typical worship, their houses were typical houses, their magistrates were typical magistrates, their clothes were typical clothes, and indeed the world was a typical world. And this is God’s manner to make inferior things shadows of the superior and most excellent, outward things shadows of spiritual, and all other things, shadows of those things that are the end of all things and the crown of all things. Thus God glorifies himself and instructs the minds that he has made. 370. Trinity. The various sorts of rays of the sun and their beautiful colors do well represent the Spirit, and the amiable excellency of God, and the various beautiful graces and virtues of the Spirit. The same we find in Scripture are made use of by God for that purpose, even to signify and represent the graces and virtues of the Spirit. Therefore I suppose the rainbow was chosen to be a sign of the covenant, and St. John saw a rainbow round about the throne of God, Rev. 4:3, and a rainbow upon the head of Christ, 10:1. So Ezekiel saw a rainbow round about the throne, Eze. 1:28. And I believe the variety that there is in the rays of the sun, and their various beautiful colors were designed in the creation for this very purpose. See shadows of divine things, No. 58. There is yet more of an image of the Trinity in the soul of man. There is the mind, and its understanding or idea, and the will or affection, or love: answering to God, the idea of God, and the love of God. 376. Trinity. It can no other way be accounted for, that in the first of 1 John 1:2-3, “Our fellowship” is said to be “with the Father, and with his Son Jesus Christ,” and that it is not said to be also with the Holy Ghost, but because our communion with them consists in our communion of the Holy Ghost with them. It is in our partaking of the Holy Ghost, that we have communion with Father and Son, and with Christians. This is the common excellency and delight, in which they all are united: this is the bond of perfectness, by which they are one in the Father, and the Son, as the Father is in the Son and the Son in the Father. 405. Trinity. It may be thus expressed, the Son is the Deity, generated by God’s understanding or having an idea of himself. The Holy Ghost is the divine essence flowing out, or breathed forth in infinite love and delight, or which is the same, the Son is God’s idea of himself, and the Spirit is God’s love to and delight in himself. 446. Trinity. Christ is called the “face” of God, Exo. 33:14, and the “angel of God’s face” (Isa. 63:9), the word in the original signifies face, or looks, form, or appearance of a thing. Now what can be so fitly called so as God’s own perfect idea of himself, whereby he has every moment a view of his own essence? This is that face, aspect, form, or appearance, whereby God eternally appears to himself, and more perfectly than man appears to himself by his form or appearance in a looking glass. The root, that the word comes from, signifies to look upon or behold. Now what is that which God looks upon, or beholds, in so eminent a manner, as he does on his own idea, or the perfect image of himself, which he has in view. This is that which is eminently in his presence, this is the angel of his presence.